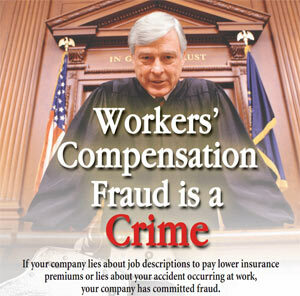 Is Wyndham Worldwide Committing Workers’ Compensation Fraud in California?? ASK AN INJURED WORKER TODAY! Just the Facts, Jack and Jill! OFF WORK NEARLY 1,000 DAYS…EVALUATION AFTER EVALUATION, RECOMMENDATIONS FOR TREATMENT REPEATEDLY BY MULTIPLE EVALUATING DOCTORS…IGNORED OR DENIED…NOT AUTHORIZED. Wyndham Worldwide #WorkComp BAD FAITH DENIALS; JUST THE FACTS! USA SOS!!! STILL ON THE ‘REST AND WAIT PROGRAM’, WITH REQUESTS BY DEFENSE FOR YET ANOTHER ORTHOPEDIC EVALUATION, WITH A REQUEST FOR AN ORDER TO COMPEL…. in order for defense to ‘defend’ against the demand for medically necessary treatments, denied since date of injuries. 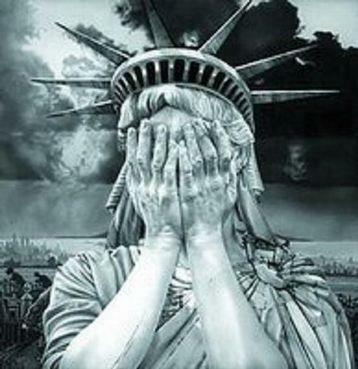 #USA SOS!!! draft 1 – June 16 2014; sent to Grancell Stander Reubens, et al, CNA Insurance/American Casualty and Corvel Corp-Utilization Review Department, as well as Dr. Darren Bergey, Orthopedic Surgeon PTP and Dr. Hilda Chalgujian, Neuropsycholgist. LINDA AYRES VS. WYNDHAM WORLDWIDE ADJ8181903 NEGLIGENCE, BAD FAITH AND REFUSAL OF EMPLOYER TO PROVIDE IMMEDIATE REASONABLE AND APPROPRIATE MEDICAL CARE, SINCE DATE OF INJURY, JANUARY 9, 2012, WITH FURTHE BAD FAITH ACTIONS CAUSING IRREPARABLE HARM TO INJURED WORKER. Date of Injury: January 9, 2012, approximately 8 a.m.
A witnessed slip and fall with loss of consciousness at work. Able to stand with assistance. Complained of feeling “dazed and confused”. Also, c/o headache and pain in back of head, neck, back and right ankle. Was neither advised nor offered a ride to seek medical treatment by sales manager who had witnessed the fall and assisted with getting up off the snow covered ground. One unfortunate event led to another unfortunate event, which led to a series of unfortunate events with wrong dates, doctors, omitted records and misinformation and inconsistencies with misrepresentations. The harm caused to the injured worker by these unfortunate events is irreparable. She continued with “usual work” (sales meeting followed by sales presentation) with above symptoms, including severe confusion, until approximately 10 am, when administrative manager approached with work comp form stating “you can see any doctor that takes work comp insurance”even though the form had no insurance information on it. Again, she was not offered a ride to the Emergency Room nor was she advised to seek immediate medical treatment. She continued with above S/S, including confusion and dizziness. She left work at approximately 2 pm, (approximately 6 hours post fall) with her manager’s knowledge of an approximate 1 hour drive home – 20 miles down steep snowy mountain road, 40 miles of flat desert road. She continued with headache, confusion, dizziness, head, neck back and right ankle pain. She drove directly to the chiropractor who had been seeing her periodically (every 1-2 months) for maintenance. Upon arrival, the office staff commented on her state of confusion and general “dazed” appearance. She informed the chiropractor about the slip and fall at work, her LOC and immediate and persistent pain, headache, confusion and dizziness. 1-11-12 injured worker presented self to Avalon Urgent Care due to increase in confusion and pain and headaches. (See 1st Report of Occupational Injury). Injured worker was not contacted by employer for follow up. Not given a list of MPN authorized providers. Was given an incomplete Work Comp form filled out by employer. Personal health insurance (CIGNA) billed for Work Comp by Avalon Urgent care due to lack of infomration on Work Comp DWC-1 form. Attempted authorization by Urgent Care. No response from emkployer or Work Comp Insurance. Injured worker had to pay out of pocket for co-pay and medical tests including Xrays (request for MRI). This office was not a member of alleged MPN at the teime, but apparently later became a member. On 1-11-12 injured worker contacted EAP provided by employer due to continued confusion and concern thereof. Continued lack of support by employer. She continued to update employer No authorization for medical treatment. On 1-13-12, Injured worker was seen by Dr. Daniel DeGoede, Clinical Psychologist, referred by employer EAP (Employee Assistance Program). See handwritten referral dated 1/13/12 from Dr. DeGoede to Dr. Esmael Sebti, Neurologist for scheduled appointment on 2/7/12. Was refused evaluation and referral when appearing for appointment by Dr. Sepbti due to non acceptance of work comp patients. It was later discovered that this doctor’s two offices were a part of the alleged MPN network. On 1-21-12 Retained attorney due to lack of medical treatment and appropriate authorizatin for treatment of head injury and was scheduled for an appointment on the next day by the law office with an Orthopedic Surgeon. Dismissed law firm with cause shortly thereafter, at the recommendation of a retired Judge, and worked directly, in-pro-per, with Adjuster to coordinate a team of providers, with Dr. DeGoede, Clinical Psychologist as lead doctor and designated PTP. On 2-4-12, sustained further injuries after two falls at home from LOC due to head injury on 1-9-12 with undetermined periods of loss of consciousness, suspected to be less than 30 minutes each, but unknown. (See attached Hi-Desert Hospital ER report of Dr. Lambros, NO EEG DONE. On 2-6-12 MRI Brain (one month post initial injury, 2 days post subsequent 2-4-12 injuries). MRI not authorized by WorkComp Carrier even though it was recommended by 1st treating doctor in Urgent Care prior to subsequent fall on 2-4-12. The MRI WAS authorized by employee health care provider, CIGNA, with a large co-pay due at time of MRI. On 2-22-12, Authorized referral (non-MPN) to Dr. Eileen Kang, Neuropsychologist, by Dr. Daniel DeGoede, Clinical Psychologist (EAP referral, and ultimately authorized (non-MPN) at PTP. Dr. Kang performed a battery of neuro-psychological tests and recommendations for further treatment were ignored by insurance carrier. On 3-6-12, was referred by office of Dr. Kang to Dr. Stephen Waldman, Neurologist (2 hour drive from home; non-MPN provider, no TBI expertise; field of expertise epilepsy and fybromyalgia) after several failed attempts to find a neurologist on the alleged MPN list. Without medical evidence, Dr. Waldman recommended ‘precautionary epilepsy medications with mood elevator’ and attempted to have driver’s license revoked for decline of offer of unfounded medications. A second neurologist was requested, but denied by carrier. In March 2012, was referred to another attorney, who was retained until November 2012 . On 4-23-12, was then referred, again by another attorney, to a clinical psychologist, Dr. Marcel Ponton, in Pasadena (3 hours from home) who’s colleague, Dr. Gunn, re-administered a similar battery of neuro-psychological tests and recommendations for further treatment and evaluations were ignored by insurance carrier and in fact, TTD benefits were terminated on 4/30/12 in bad-faith action by carrier. Dr. Marcel Ponton then referred injured worker to a second Orthopedic Surgeon, Dr. Kahlid Ahmed for a second consultation, and to a physiatrist, Dr. David Patterson, Medical Director at Casa Colina Rehabilitation Centers, for DMV eval to disprove Dr. Waldman request to revoke driver’s license. Recommendations for further treatment and evaluations were ignored by insurance carrier. 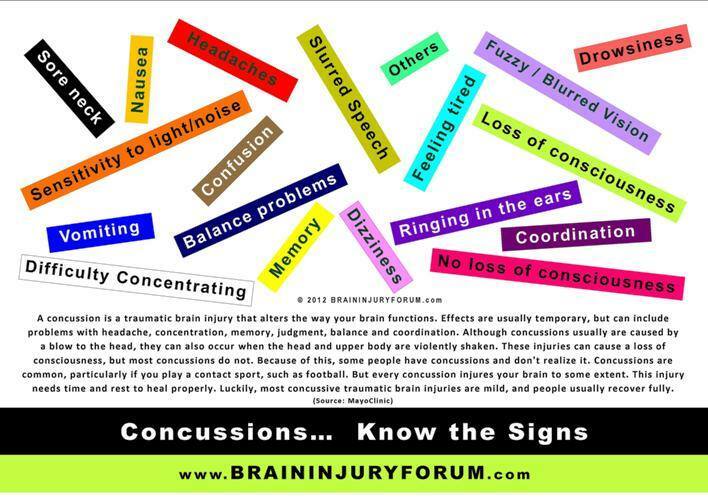 850.1 Concussion w/brief loss consciousness, 338.11 acute pain due to trauma, 847. 0 Cervical Sprain/Strain, 839.08 Disloc mult. cerv vert clos, 728.85 spasm muscle, 839.21 Disloc thoracic vert close, 739.3 Nonallopathic lesions lumbar nec, 854 Closed head injury, 784 Headaches, 310.2 Post concussive syndrome, 850.1 Concussion with brief loss of consciousness, 850.9 Head Concussion, 309.81 PTSD, 310.2 Post concussive syndrome, 780.93 Closed Head Injury with amnesia, 921.00 Contusion (left orbit), 750.90 Concussion, 959.01 Head Trauma, 959.01 Cognitive Changes following head trauma, 850.0 Concussion, 959.00 Head Trauma (Contusion x 2) with Impaired Memory, Speech, Balance and Vision, 850-854, 959.01 Somatic/cognitive dysfunction and emotional dysfunction, 310, 310.8, 438 Mild cognitive dysfunction, memory processing,, 850 Mild TBI positive lapse of consciousness, 310.20 Post Concussive Sydrome, 309.28 Mood Disorder secondary to Post Concussive Syndrome, 959.01 Head injury, Lobe Disorders: frontal, parietal, cerebellar dysfunction, motor dysfunction, segmental dysfunctions, Closed Head Injury with Ongoing Sequelae, Psychological sequelae, possibly secondary to industrial injury, 959.01 Closed head injury with cognitive dysfunction and speech dysfunction, 784.00 post traumatic headaches, brain based vision impairments, brain-based vestibular and balance disorders + secondary to head trauma, NECK, BACK, Shoulder PAIN and related ICD-9 codes, 850.9 Head Concussion, 854.0 Closed head injury, 784.0 Headaches, 294.9 Cognitive DisorderNOS, 310.20 Post Concussion syndrome, 850.9 Head Concussion, 378.42 Exophoria, 378.43 Vertical Heterophoria, 368.33 Fusion with Defective Stereopsis, 368.13 Visual Discomfort. Neck Pain 723.1, Mid-back pain 724.1, [Note: “A Vision rehabilitation program is medically necessary to improve Linda’s deficient visual skills, as noted…(March 22, 2014, Dr. Lynn Lowell, Neuro-Optometrist, Ketchum Eye University 2014, as also indicated by Dr. Eric Ikeda, Casa Colina, Neuro-Optometrist] Closed Head Injury 854.0, 784.0 Headaches, 294.9 Cognitive Disorder NOS, 310.20 Post concussive syndrome, 850.9 Head Concussion. 34 specialists, and has had 2 MRI of the head, one of the Cervical Neck, and one of the Right Shoulder. Several of the doctors were referred by attorneys, her legal representation or by treating doctors. Retained and dismissed 4 attorneys due to incompatible goals; Injured worker has been represented approximately 14 months out of the 2 years 5 months since date of injury. Each attorney did increasingly greater harm compounded by further failures to facilitate medical treatment than prior representatives. Due to brain injuries, and consequent communication and cognitive deficits, injured worker has been unsuccessful in retaining competent legal representation, knowledgeable about proper handling of a brain injury claim and necessary treatments and treating team, in accord with ACOEM guidelines. ADA requests for accommodations at WCAB – Riverside have been repeatedly violated. 2) >9 months (Mar 2012 – Nov 2012) Mike Durich, Esq. 4) < 1 month (mid-Dec 2013 to mid-Jan 2014) Clayton Perry, Esq. Treatments of chiropractic, acupuncture, neuro-optometry, neurology, functional neurology, speech therapy evaluation, on-line brain-training, EEG, and Brain MRI’s were medically necessary, as requested by multiple doctors, and in light of the medical necessity, and continuous bad-faith actions of employer and it’s insurance company and defense counsel, have been self-procured and more than approximately $23,500 in outstanding medical costs remain unreimbursed since 2012. 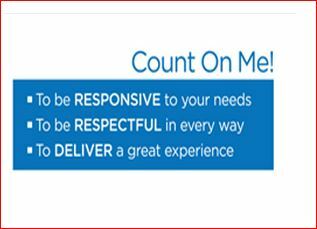 #1 Wyndham Worldwide and it’s agents neglected to provide medical treatment and proper evaluations since date of injury. Managers at Wyndham Worldwide resort – WorldMark by Wyndham at Big Bear – were negligent and apparently untrained in proper handling of an industrial injury, particularly one including a head injury. The failure to have transported the injured worker to the closest Emergency Room or advise injured worker to seek immediate medical treatment to avoid further injury is extreme negligence. #2 Not given proper Workers Comp info on MPN Providers and List of Providers and 1st report insurance information was lacking, causing need for use of employee CIGNA insurance through February 2012. #3 Allowed to “drive self home” six hours after Wyndham managers saw her fall and lose consciousness. Allowed her to continue working even though she complained immediately of confusion, pain in her head, back and neck and right ankle. #4 No immediate treatment authorized for head injury / MRI / EEG. #5 Continuous negligence from lack of authorized treatments sent on a path of self-procured medical treatments (requested by multiple providers, ignored by carrier). Out of pocket expenses for doctors, appointments, treatments and equipment needed for prognosis and ongoing care of brain injury and rehabilitation, and orthopedic injuries. A) Monetary reimbursements of medical mileage, treatments, and equipment. ** All but three doctors (Kent, O’Brien & Zardouz) recommended further medically necessary treatments and evaluations for #TBI/Closed Head Injuries and orthopedic injuries; only a few chiropractic, a few clinical psychologists, and 6 physical therapy sessions were authorized the first two years. The fight continues for medically necessary brain injury rehabilitation as well as for orthopedic injuries; clearly documented; Wyndham’s agents have continuously refused to and failed to authorize. How can the defense continue to refuse to authorize medically necessary treatments, and how can the defense further allege that these injuries, exacerbated by refusal to deny medical treatments since date of injuries, were somehow ‘pre-existing’…..??? Mr. Reubens, any further questions?? If you’re like me, you want to know: What can YOU do Today? (1) Well, BE AWARE OF THE HORRIFIC CRIMES AGAINST INJURED AMERICAN WORKERS BY FELLOW AMERICANS IN COLLUSION WITH THE BILLION DOLLAR INSURANCE INDUSTRY. (2) Share this blog with someone…………by email, fB post, tweet, snail mail, etc. BE CREATIVE. (4) Send your letter of support to wynLINDA@gmail.com with encouragements to continue to FIGHT THE GOOD FIGHT; The SuperLawyers and Other Legal Experts and Government Officials interviewed have indicated that THIS STORY IS NOT UNUSUAL…. and that it has a ‘too bad, how sad’ ending, always. 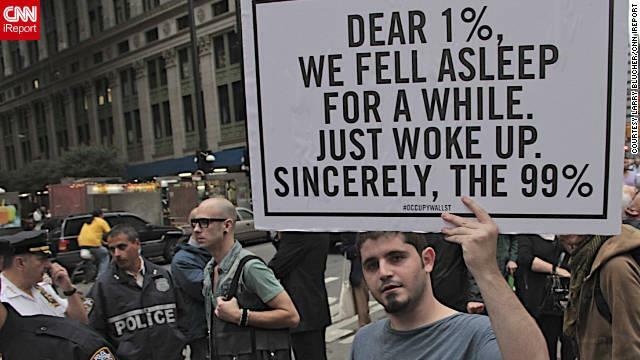 (5) TELL YOUR FRIENDS AND NEIGHBORS; YOUR GOVERNMENTS ALREADY KNOW. REMEMBER REMEMBER: WE ARE THE MEDIA NOW. 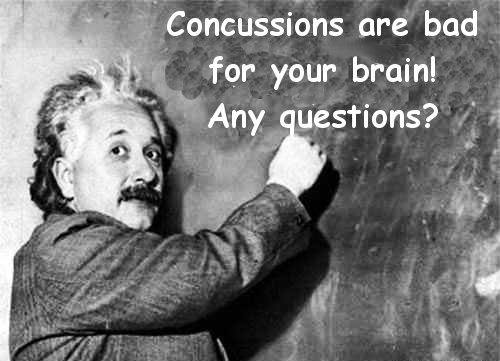 BUT IF WE DO FORGET DUE TO #TBI, FRIENDS DON’T LET FRIENDS STAY IGNORANT!